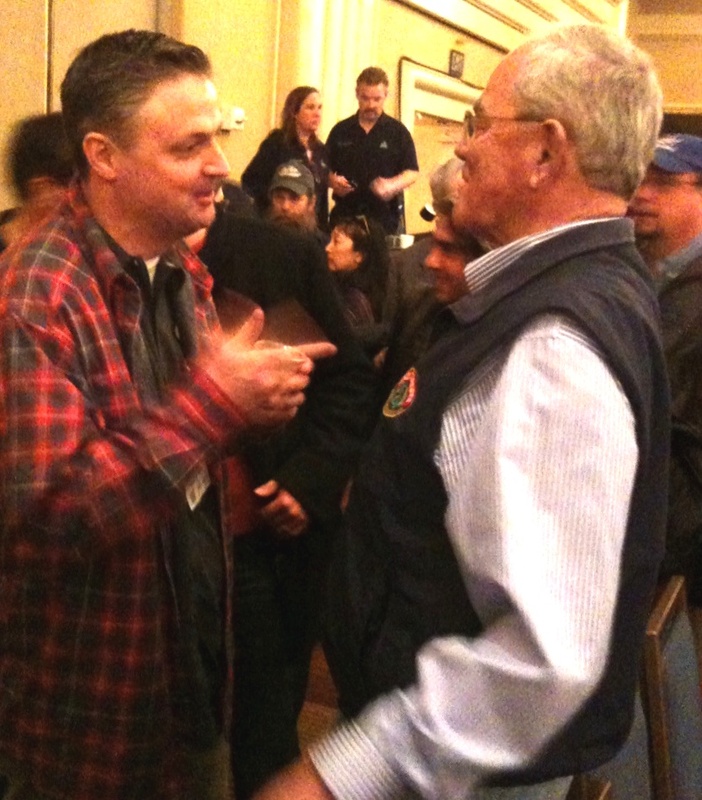 I attended the 2011 Craft Brewing Conference in San Francisco last month and basked in the collegial and warm atmosphere of the some 3500 attendees that represent Craft Brewing in America. I found that I vastly preferred this event to the more famous (and infamous) GABF in Denver – though the GABF is a “must do” for all Beer Appreciators. The CBC kicked off with an evening reception at the California Academy of Sciences in Golden Gate Park. I must admit I was a little anxious, having been to numerous conference receptions, and being reminded that I might not see anyone I knew – but I took solace knowing there would be great beer with the dioramas and fish to look at. Ended getting on the bus to the event with Tom Kehoe of Yards, and once inside the reception I found a very pleasant open group of brewers, owners, spouses and hangers on (like me) happy to talk about, share stories and drink great American craft beer. A number of breweries that I have visited and talked about in this blog were represented, and as I watched the “colors” of the breweries go by emblazoned on T-shirts, hoodies, bowling shirts and hats, I was able to say hi to numerous brewers and owners of breweries I knew from all over the country. As I happily sipped Anchor Steam and chatted with Bob Brewer their trade relations manager, I said hello to Ed Stoudt of Stoudt’s, Stephen Beaumont, Joey Villarreal (owner of Blue Star) and Jason Davis the head brewer at Freetail (the latter two breweries from San Antonio). I chatted briefly with Brian McConnell of Rock Bottom in King of Prussia – though he later claimed he didn’t remember the greeting! The next day kicked off with all 3500 of us in a huge ballroom sharing the great news about 11% growth in the craft beer in 2010, now 5% of all beer sold in the US – with 1759 breweries and brewpubs operating. The highlight of the session was a wonderful interactive chat between Fritz Maytag of Anchor and Ken Grossman of Sierra Nevada – craft beer pioneers and now “rock stars” of the industry talking about their start ups. Clearly at ease, Fritz was a hoot, talking about the day he woke up on the floor of the brewery, after passing out – with the medics saying “you’re OK, it’s just stress” – “That was a great day” Fritz mumbled under his breath to the crowd. Ken and Sierra had brewed a special collaborative beer with Anchor for its 30th anniversary (a wonderful imperial stout) and bottles were passed out to the crowd. 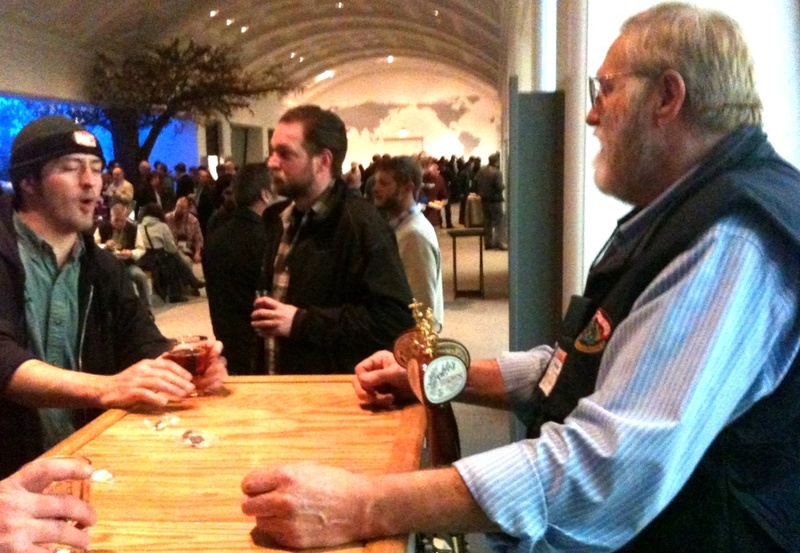 Corks were popped and 3500 adoring craft beer fans toasted Fritz and Ken as the conference swung into high gear.